Labels are texts displayed by the control always on top of all other scene elements. The developer can control the position and alignment of the label, add headers and footers, modify the font, font color, font orientation, backplane style and fill style. 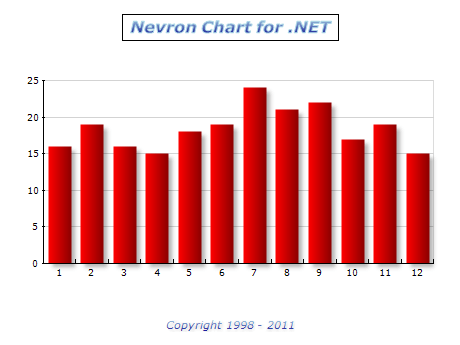 Nevron Chart Labels allow XML formatting of text. XML formatted texts are similar to HTML formatting, but with some advanced features like text border, fill style and image filters.